The carnival is set up on the parking lot and has a variety of rides for all ages. 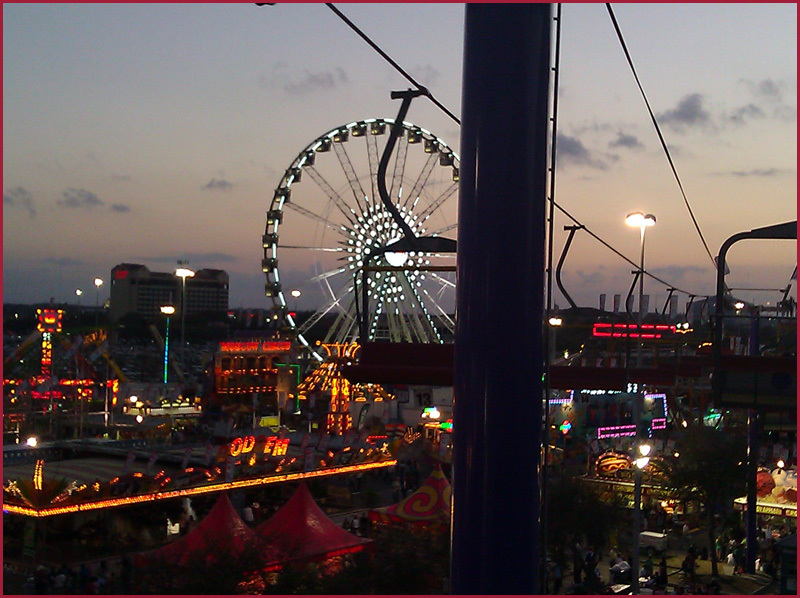 Each ride requires coupons which can be purchased at the at the Houston Rodeo Carnival booth. Also on the Midway is some of the finest food including Turkey Legs, Bar-B-Que, Burgers, Tex-Mex and of course Funnel Cakes and cotton candy. Enjoy $2 rides and games from 11 a.m. to 4 p.m., along with a $2 food or drink item at select food stands in the Junction Carnival. 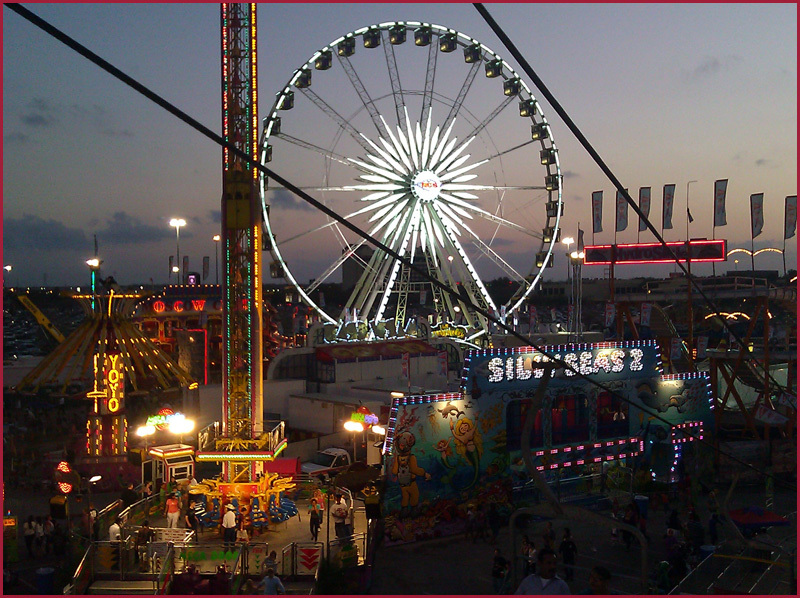 These discounted books are not sold at the carnival but individual ride tickets can be purchased on the NRG Park grounds throughout the carnival. * Hours subject to weather.